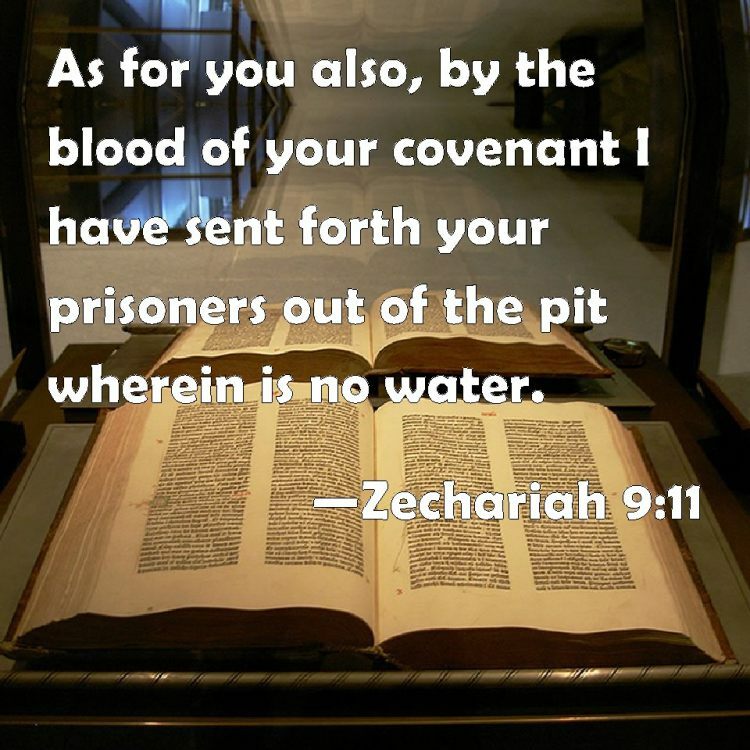 Verse 11 says that it is because of the Blood of the covenant that God will set the prisoners free. This is something to be truly thankful for; because of the Blood of Jesus we can live fully redeemed lives from the curse. God wants to bless your life, and as you enter into relationship with Christ this is your inheritance. It is because of the Blood that those in Christ will be set free from the waterless pit (vs. 11).This is the place of soul sickness. It is the place of sin. It is the place of anxiety, fear, and depression. God is setting us free from that which would torment us, because of the Blood of the Lamb. Are there areas in your life today that represent dry and arid places? God is redeeming those places, and you are going to rise out of them. Get ready to receive joy for sadness and beauty for ashes. Make room for a divine exchange to take place. God is going to make you a lightning arrow for His glory (Verse 14). These arrows are believers filled with the fruit of the Holy Spirit (Galatians 5:22-23). There is a purity of spirit that is rising up to achieve His great purpose. God Himself will be seen in the Bride. They will be like Christ who knew what His assignment was in this world while also knowing that He wasn't of this world. They will be pure and spotless without guile in a polluted generation that has compromised itself with sin.